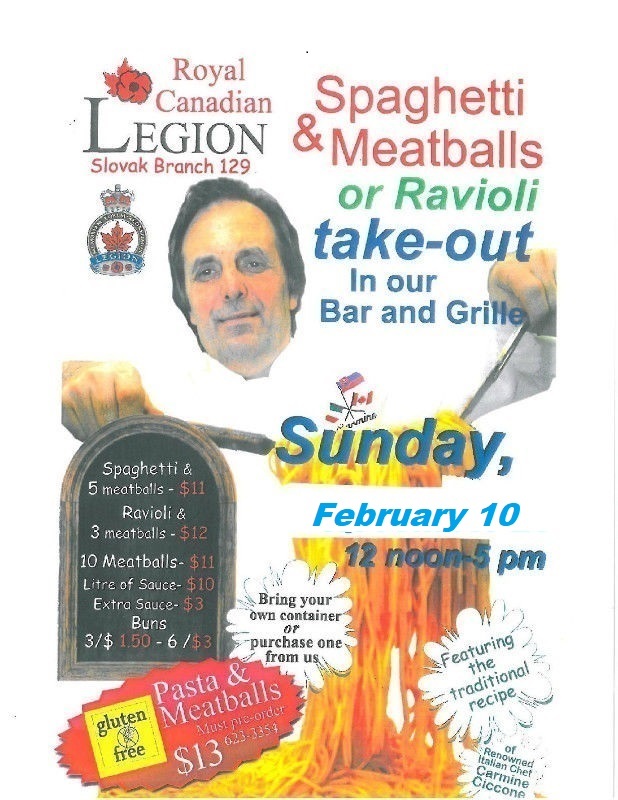 Our next great Spaghetti Takeout is on February 10 from 12 to 5pm. Please use the Slovak Legion (Bar Entrance). Come on down to enjoy Carmine’s delicious meatballs.